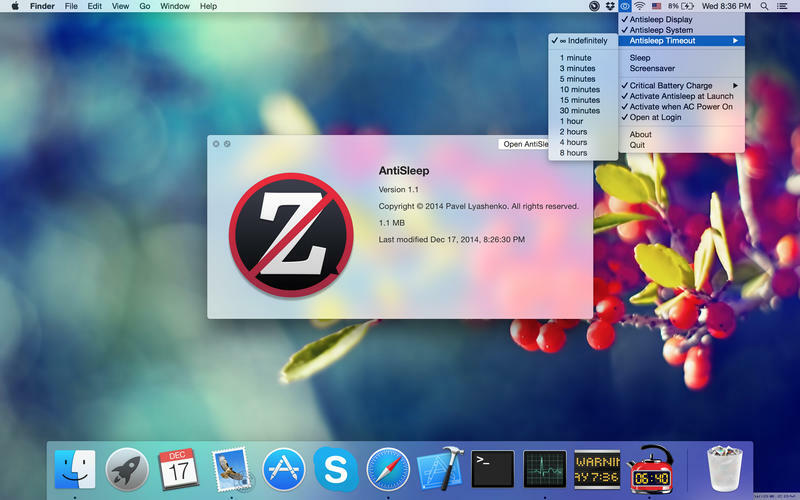 AntiSleep is a simple free utility to blocking a sleep mode. – Fixed some bugs after updating OS X 10.10.3. New Cool Text Pro - Fonts Make Better Messages with Encrypt Private Message into Emoticons & more!